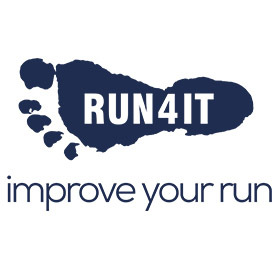 Our retail partner Run4It want to help you improve your run, so they have put together a handy checklist of items which they believe are essential for you to comfortably enjoy your Dog Jog. 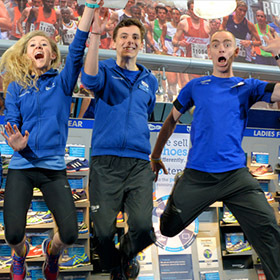 It is easy to purchase a pair of ‘sports shoes’, they look smart and are available in your size – done! Or you just need to dig around to the bottom of your wardrobe until you find those trainers from years ago. However, we recommend that you think differently about your footwear and consider investing in new shoes, to avoid injury and get more from every step! 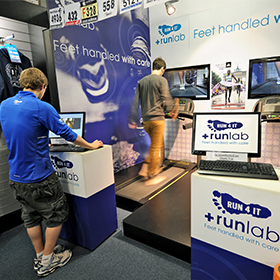 At Run4It we recommend that you have your feet analysed by one of our team through our free runlab shoe fitting process. A simple 15 second jog in bare feet can tell us whether your feet need a stability shoe with extra guidance and support, or a structured neutral shoe with lots of cushioning. It is amazing how much of a difference correctly fitted shoes can make! If you are new to running, this is the one thing to get right. If you have looked after your feet by getting the right shoe, then it is the perfect opportunity to accompany this with the right sock. The rule is simple: no cotton! Cotton retains moisture/sweat which can cause bacteria to build up and the foot to become irritated by the damp sock – most commonly resulting in blisters. To avoid this, look to running socks which contain synthetic fibres (such as nylon) to wick away moisture and allow the foot to breathe. Running socks can vary in comfort, based on the padding they have in them, as well as sock height and colour, so there are plenty to choose from! 80% of women are wearing the wrong size bra. 75% do not wear a technical sports bra when running. Sound familiar? It is said that no sports bra should ever reach a birthday, so for most women it is probably time for a sport bra fit! Not wearing the correct sports bra can affect your running gait and posture, it can cause up to 4cm of movement in the breast tissue and irreversible damage, and it can be really uncomfortable when you are trying to enjoy your run! This is why we consider sports bras an essential piece of kit. No matter your cup size, band size, or preference on bra style, you should always be able to find a sports bra that works for you! If the feet are comfortable, you need the kit to match. With running tops it is the same as with socks, avoid cotton! A cotton top not only shows sweat and begins to smell much quicker, but it can also cause irritation and rubbing under the arms or on the chest. A technical t-shirt is much lighter and less restrictive around the arms – and it’s not an expensive piece of kit. If you can check off every item of our checklist then you are good to go! If this is your first run, enjoy the experience and if you have done events before then welcome back!